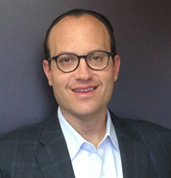 Stephen Katz has over 12 years of experience in the commercial mortgage loan industry. Throughout his career he has closed hundreds of transactions totaling over $2 billion in financing. Stephen has been a broker with GCP Capital Group, LLC since 2008 and started his career after graduating college with a Manhattan based mortgage brokerage. Recently, Stephen closed a $190 million package of loans on a portfolio of multi-family properties in New York City. In addition, Stephen closed a $100 million construction loan on a high-end retail chain and stores in South Jersey. He also has closed numerous smaller loans on all types of commercial real estate throughout the New York Metro Area. Mr. Katz always strives to continue building long-term relationships with his clients and lending institutions. Stephen resides on the South Shore of Long Island and earned his degree in finance at Yeshiva University in Manhattan.